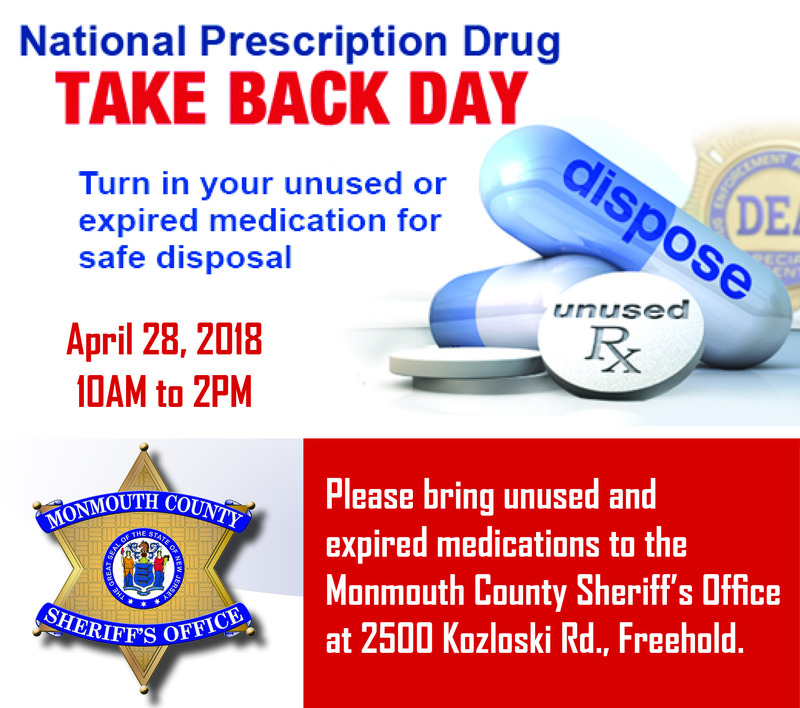 Freehold: Sheriff Shaun Golden is pleased to announce that the Monmouth County Sheriff’s Office will once again be participating in National Prescription Drug Take Back Day on April 28, from 10am to 2pm. That’s the day to dispose of unused, unwanted and expired medicine. 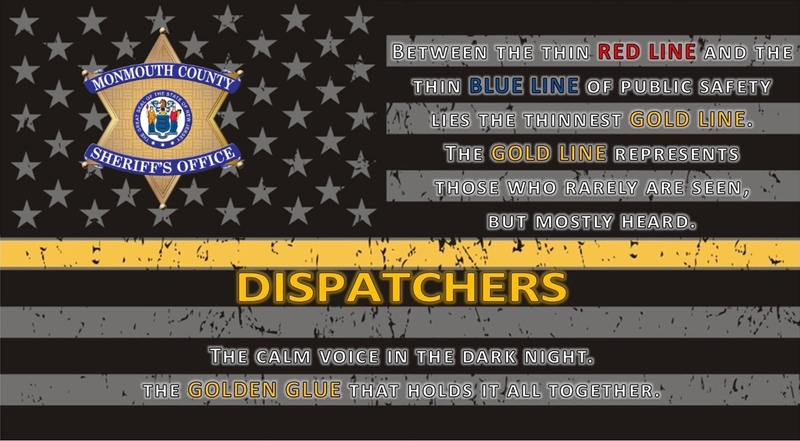 The drop off site will be located at the Monmouth County Sheriff’s Office, 2500 Kozloski Rd., Freehold where a sheriff’s officer will be present, with the proper receptacle. 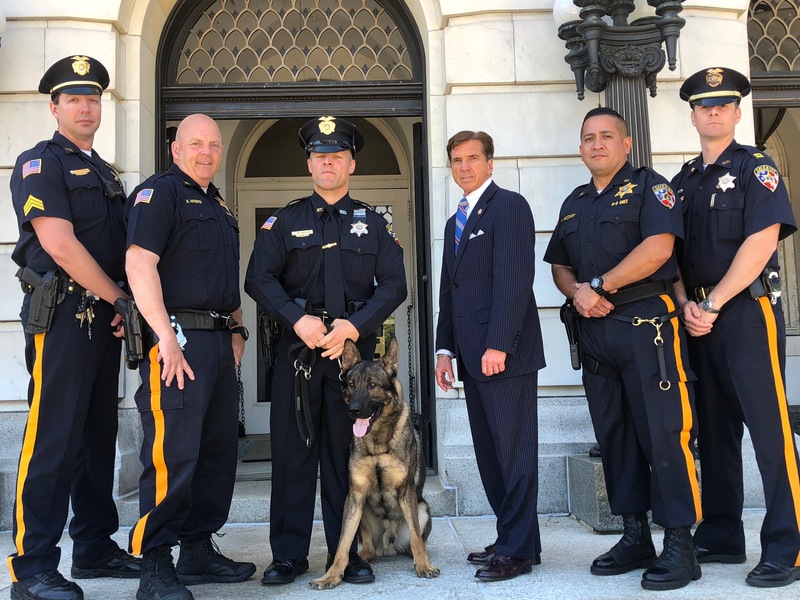 The statewide event , spearheaded by the Drug Enforcement Administration (DEA) New Jersey Division, raises awareness of prescription drug abuse. 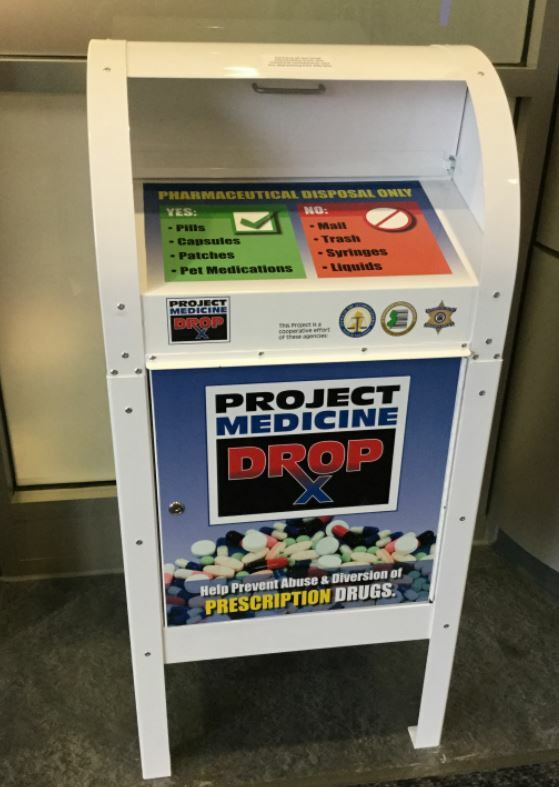 According to the DEA, the goal of the program is to allow residents to deliver these medications to law enforcement officials who can dispose of the medications in a safe and non- hazardous manner, preventing them from falling into the hands of youths or into our communities. The program is anonymous and no questions will be asked of participants. In addition to participating in National Take Back Initiative, the sheriff’s office has a permanent collection site, located at the front entrance to the Monmouth County Sheriff’s Office, which residents can utilize at any time, all year long.